Usually I'm pretty good at saying British words when talking to people at home, and come to think of it, I try to stay true to my roots as often as possible, but I have to be honest and say there are plenty of American words that have snuck into my vocabulary. Upon finishing my conversation with Mum, I compiled the list below! Amercian words I now use daily. 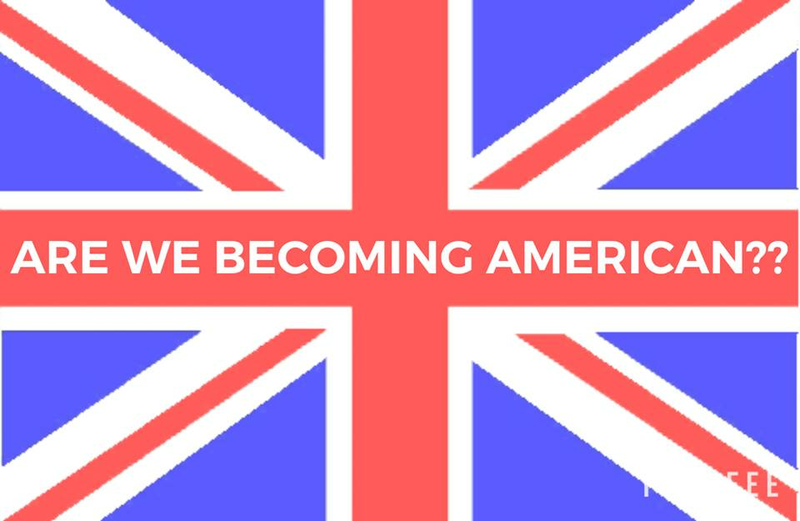 British words that just slip out, that confuse Americans. Most of the words that I say while I'm here, I automatically revert back to British when I go home. It may just be on the off chance I let slip, 'going to the gas station'. I still feel like I'm very much British and love the words we have for things. It was always hilarious when I worked at the preschool, as all my kids knew what I meant when I told them to put something in the bin, which made the other teachers laugh. It wasn't me teaching them, I just said it so much by accident that the kids eventually knew what I meant. I will admit that sometimes I get confused by Americans and what words they use, for example. They say 'Going to get the mail' but they still go to the Post Office. They have Football, but the majority of the game is played with your hands and they call our Football soccer??? Are there any British words that our lovely American readers don't understand? We'd love to know in the comments below. And to my fellow Brits, what American terminology do you not totally get? This is so funny, Kelly! I do remember in the 5 years we lived in CT trying really hard to retain my Britishness! lol It seems so funny when I look back on it. Ada, my writing partner, however, has the opposite problem! She did this post on our blog earlier this year about being unable to give up pants! That's so sweet re the pre-school children! And the mail/post office thing - I had never picked up on that! !